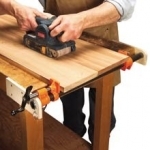 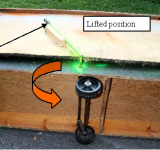 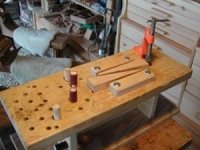 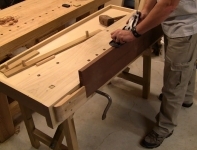 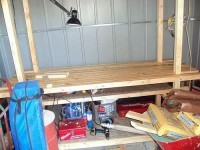 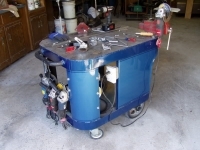 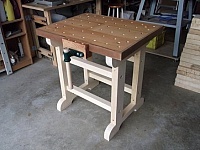 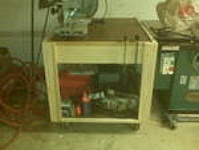 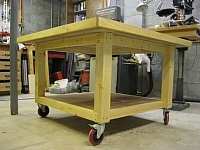 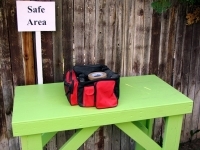 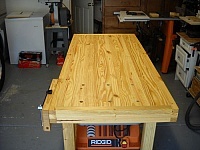 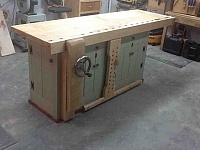 Homemade woodworking bench intended to be utilized in a sitting position. 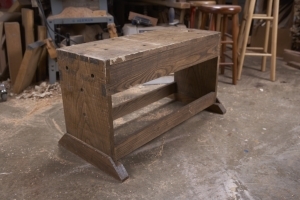 Patterned after Roman-era designs. 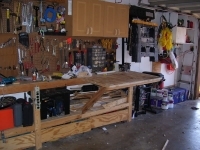 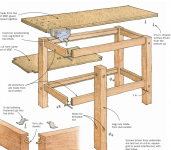 Saying that your workbench design is similar to the ones used by Roman woodworkers would make for interesting conversation.